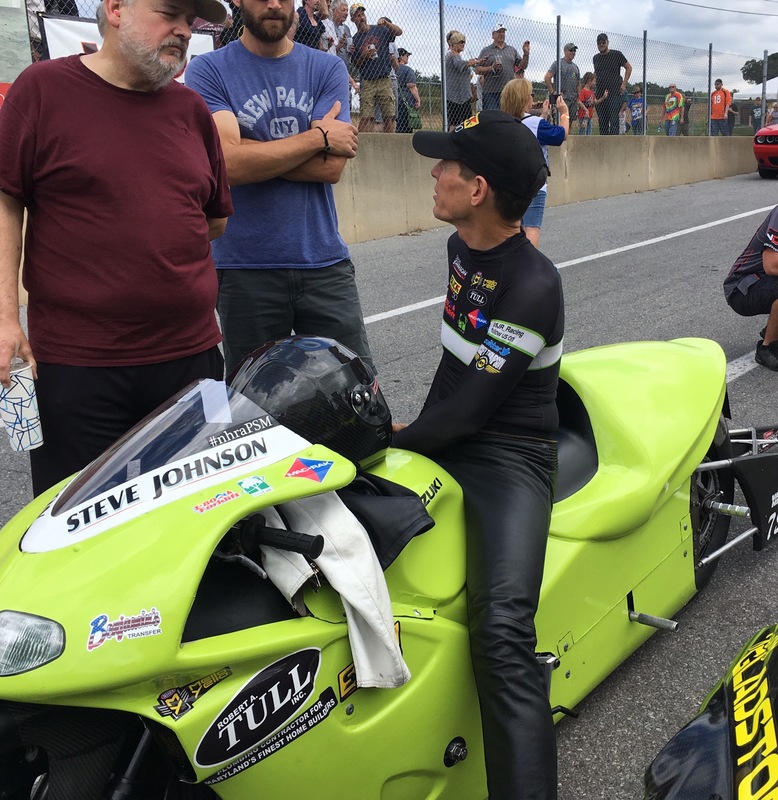 Steve Johnson Racing is a team doing big things this year in the 2018 NHRA Mello Yello Drag Racing series. 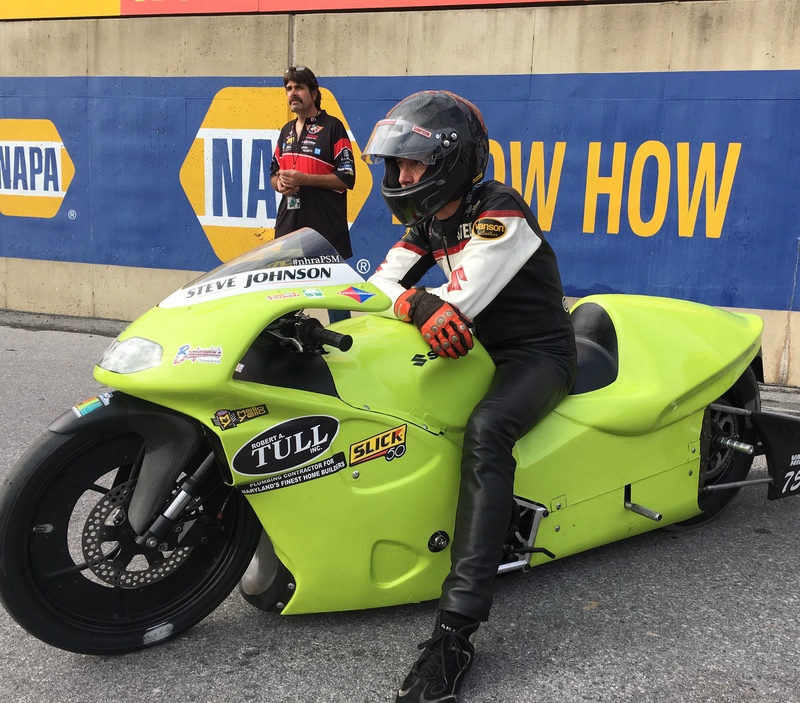 The independent Pro Stock Motorcycle rider with a single crew person fought his way into the prestigious Countdown to the Championship. 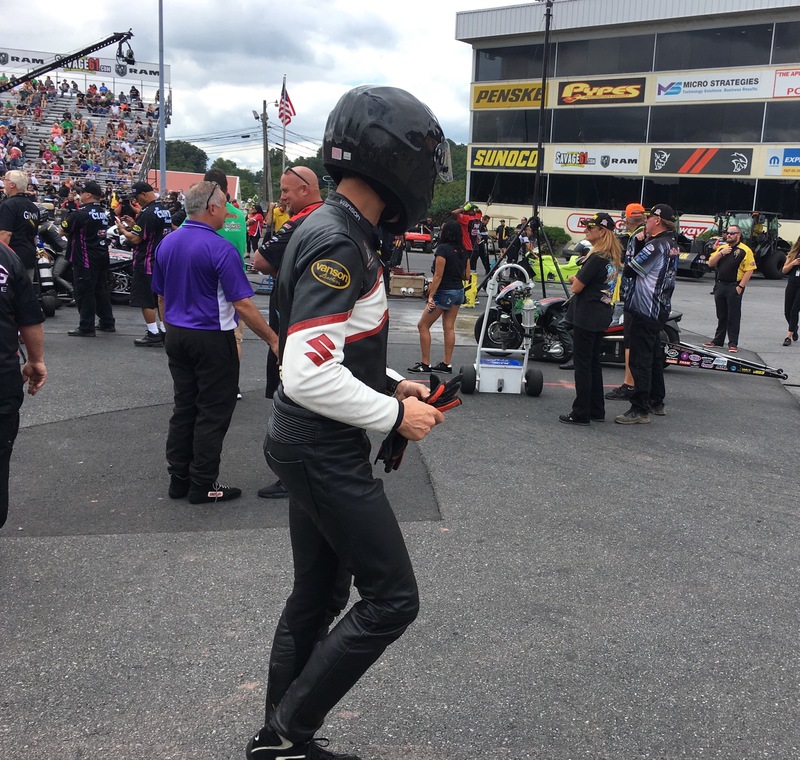 This weekend, sponsor Mac Rak returns for the third race of the season and will be joining the team personally at the NHRA AAA Insurance Midwest Nationals in St. Louis. This is the fifth time since the playoff format began in 2007 that Johnson’s team has qualified. The team consists of Johnson and Ervin “Jock” Allen. The last time they competed for the Championship was 2014. Johnson entered the 2018 Countdown in the No. 8 spot, and after a great finish at last weekend’s Dodge Nationals, the team has moved up to No. 7 with five more races to go. They are 111 points behind Eddie Krawiec, one of the factory Harley Davidson riders and only nine points behind No. 6 competitor, Jerry Savoie of the WAR team. 2018 started with another team and ended after just one race. After that shock, it has been a restructuring season for Johnson. He’s made many changes to his 2017 program by downsizing the onsite event resources that included an 80 foot tractor trailer. When you look at Johnson’s performance of late, these changes seem to be paying off. Every race Johnson fields a Suzuki with a 400 horsepower engine that goes zero to 60mph in just one second and travels the quarter mile at just under 200mph in 6.8 seconds. 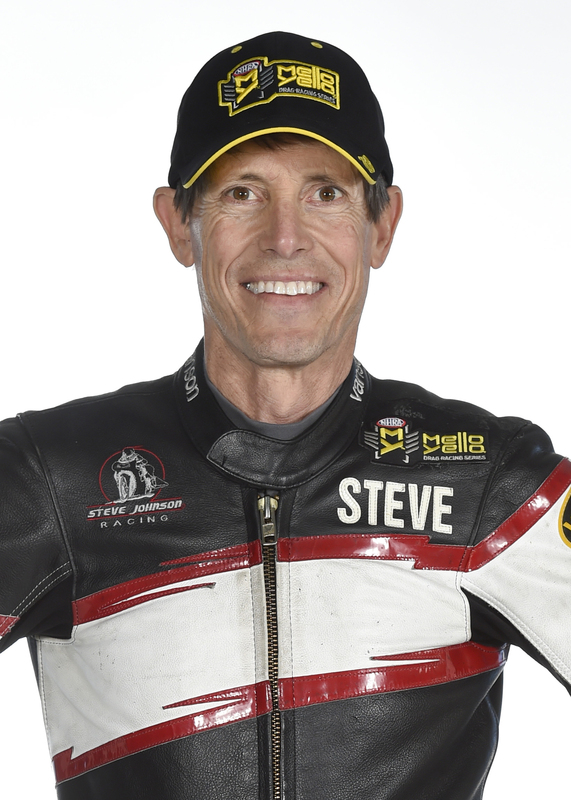 He is the only independent Pro Stock Motorcycle rider in the Countdown to the Championship. Johnson’s support comes from Slick 50, Tull Plumbing, MacRak, CCAR and Vintco.biz. He also has the backing of High Performance Oil, Alpha Graphics, EBC Brakes, NGK Spark Plugs, Worldwide Bearings, ISC and Mickey Thompson. St. Louis is also a special track for Johnson. 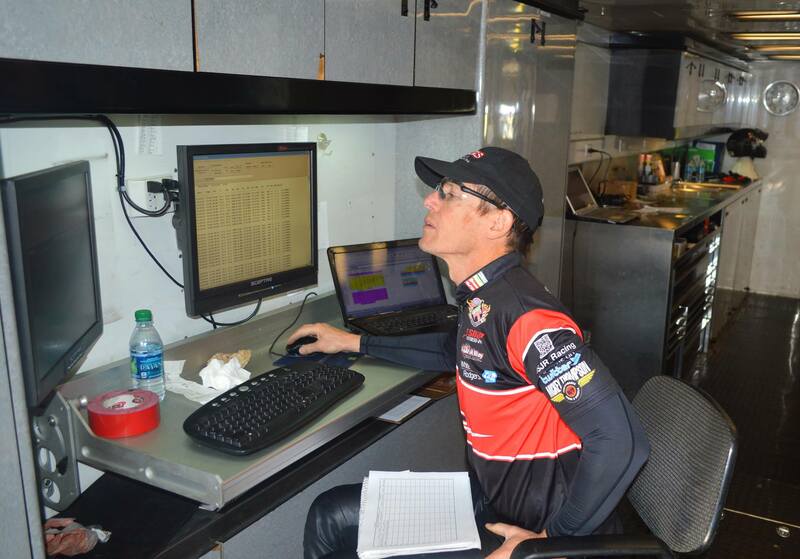 It is the site of his first race win as a professional Pro Stock Motorcycle rider in 2004. 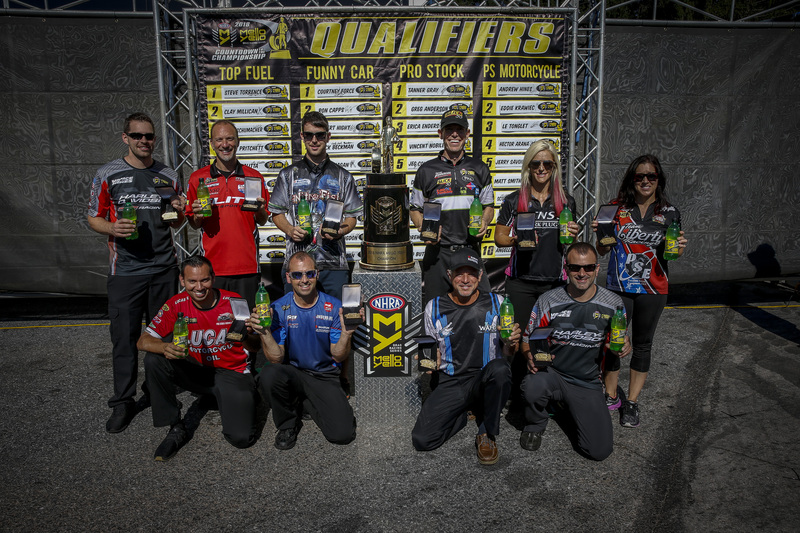 The AAA Insurance NHRA Insurance Midwest Nationals gets underway Friday at 4:00 with qualifying session one. Fans who cannot make it to Gateway Motorsports Park can watch on FS1 all weekend long with live coverage of eliminations on Sunday.